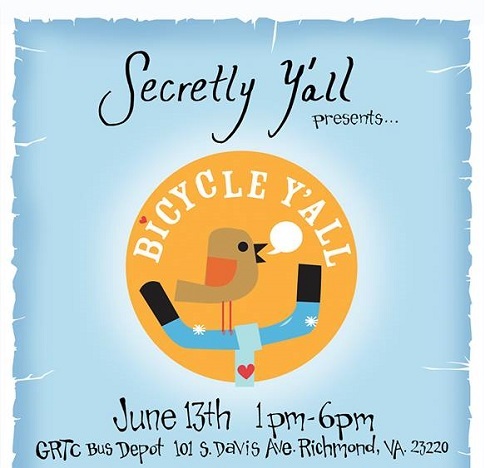 The founders behind local story-telling series Secretly Y’all are throwing a small festival at the former GRTC bus depot that will feature bikes, bands, beer and of course, stories. On June 13, Colin King and Kathleen Brady are putting on Bicycle Y’all, a festival that aims to promote a new “respect our roads” campaign along with storytelling, bike organizations and other vendors. New Belgium Brewing is providing the brews, Sturgeon City and Sleepwalkers are scheduled to perform and there will be bike activities, a “storybike” and food trucks. This is the first festival for Secretly Y’all. Launched in 2010, the group brings people together in a place around town every other month to share personal stories in front of each other. Last year, the group started talking with friends about holding an event at the vacant GRTC bus depot on South Davis Avenue that would celebrate the bike community. All of Secretly Y’all’s event proceeds usually go to local charities. Brady said since launching Secretly Y’all over $11,000 in proceeds from their events have gone toward some Richmond charity or non-profit. The proceeds of Bicycle Y’all will go toward a city-wide campaign called, “These are our roads,” the main emphasis for the festival. In April, the duo launched a Kickstarter campaign and by the end of the month they raised $6,300, enough to cover the festival according to King. The duo reached out to GRTC just before launching the Kickstarter campaign and confirmed the space for the event with them May 27. 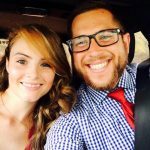 Over the last two months, Brady and King contacted local bike shops and organizations to come out and support the inaugural event. Rag & Bones Cooperative, a Scott’s Addition bicycle repair shop, is sponsoring Bicycle Y’all and RideRichmond, I Am RVA and BikeWalk RVA are also on board. Local artist Chris Milk, who was one of the people behind the idea, welded bike statues from bike parts and other scrap pieces for the festival, and the two plan to attach stories to them. A bike polo game, a four square tournament, a “Yart Sale,” some Richmond museums and other vendors will also be a part of the festival. But the main attraction will be the “storybike,” according to Brady. “The storybike is a mobile story recording booth built onto a tricycle,” Brady said. King said their friend Skillet, a local welder, constructed and designed the bike for the Bicycle Y’all festival. “He took a trike frame that was donated by Rags N Bones Bicycle; Skillet basically cut it in half, extended the back frame, then welded the structure of the booth on top of it,” King said. The two plan to take the story telling bike around town and park it at different events and festivals to collect stories for their podcast. Pictures above and below represent what the storybike looked like in its initial stages. Brady and King plan to reveal the final product at the festival. Bicycle Y’all will be held at 101 S. Davis Ave. on Sat. June 13. Tickets are $10 and you can grab yours here. The first 175 people to purchase tickets receive a free bike light and one beer token.